To start, you need a Microsoft account. Please login or signup for an account. 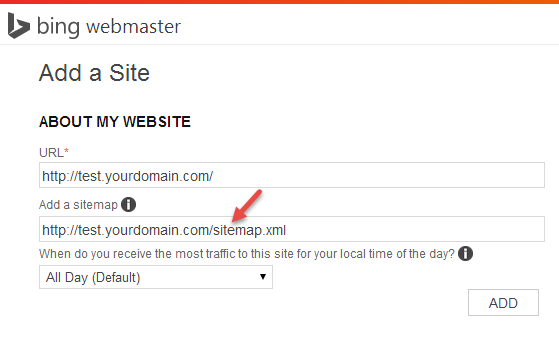 Once logged in, you'll be able to add sites/domains on your Webmaster account. Now you need to add your site. It's as simple as letting Bing know what domain you are using for your ProProfs help site. The top section of the home page allows you to add a site. Type your domain then click Add. Confirm your domain on the next page. Return to ProProfs and go to Settings > Add, Edit and Customize a site. Choose the site you want SEO enabled then click on SEO tab. Paste in the code from Bing in the proper field and make sure you save it. Now return to Bing and click the Verify button on the last screen you were working on earlier. 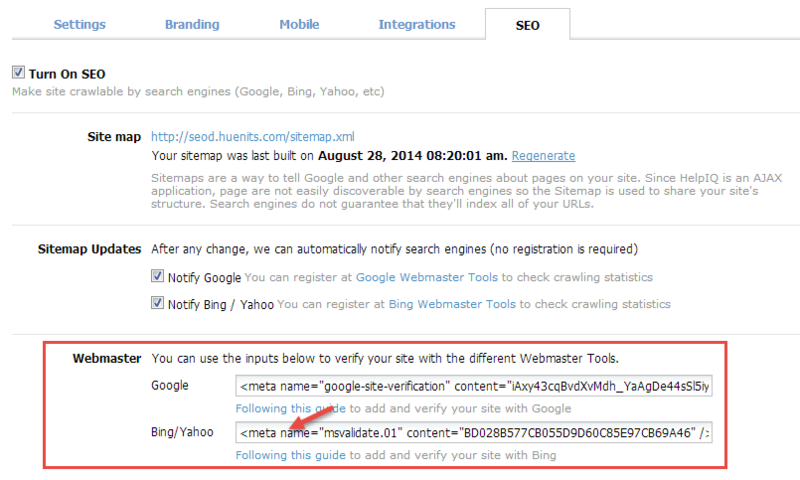 If you find no error after submission, you have successfully added and verified your site in Bing.